Your Support today will help us to do our part to make sure hundreds of bats don't die for the lack of a potential treatment. The bats need the forest, and the forest needs the bats. Not all bats live in a cave. Like many bat species, the straw-colored fruit bat's home is the tropical rainforest. They are vital to the survival of these forests because they are a primary pollinator of plants. But the population of these African bats is in decline. Much of their habitat is in danger. Due to this trend, the IUCN Red List now classifies these bats Near Threatened. If the threats to their habitat continue, we can expect a further decline in their numbers. But the Wild Animal Health Fund is a beacon of hope for this species. 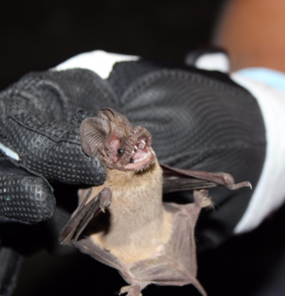 The Fund will provide resources to better understand bat health. And this information will be crucial in the battle against their extinction. One hundred percent of every dollar you give to the Wild Animal Health Fund goes to fund research grants. Even a donation as little as a dollar can make a difference. So make a difference and donate now.